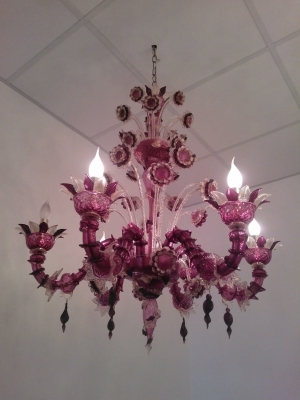 When artisan know-how combines with art, fabulous creations result. 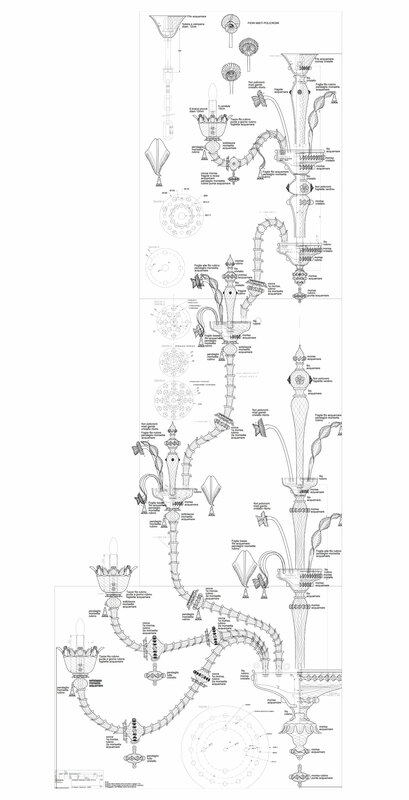 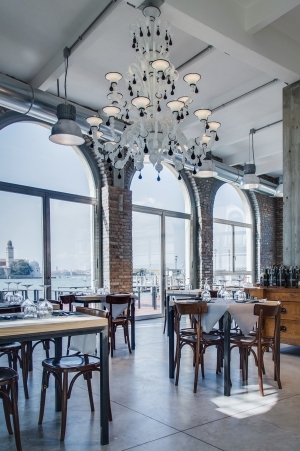 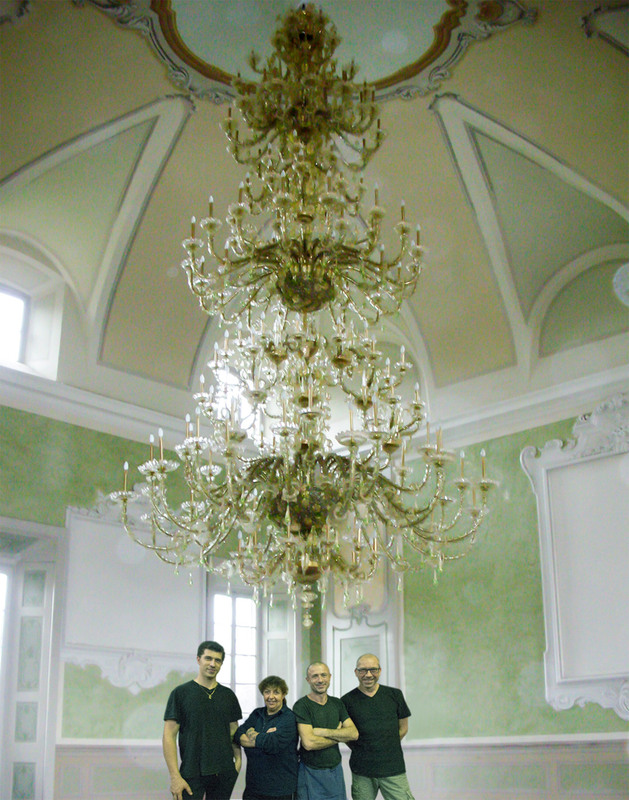 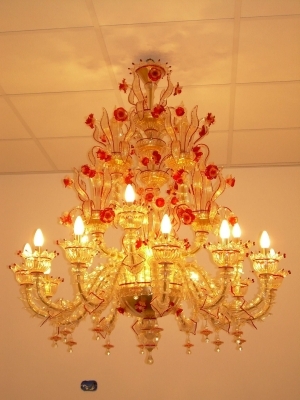 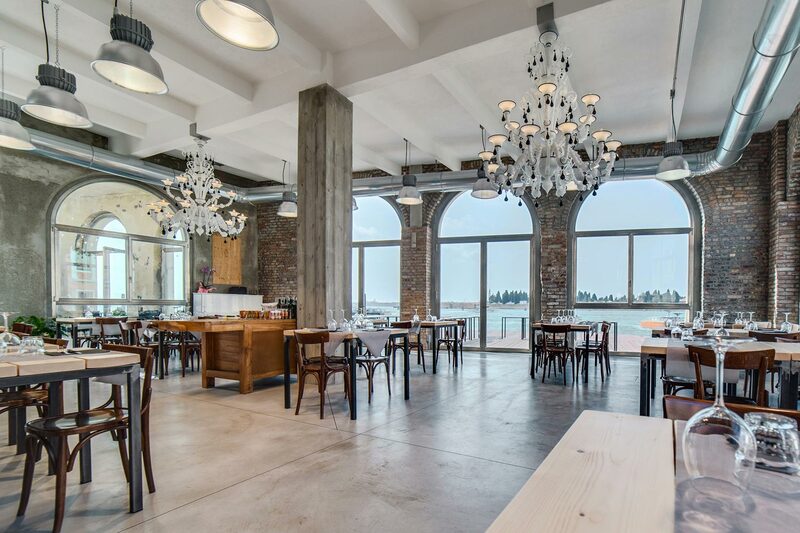 The classic Venetian chandelier lives off light itself. 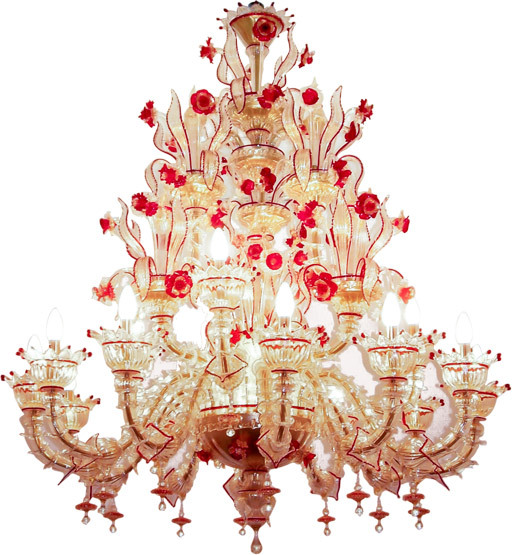 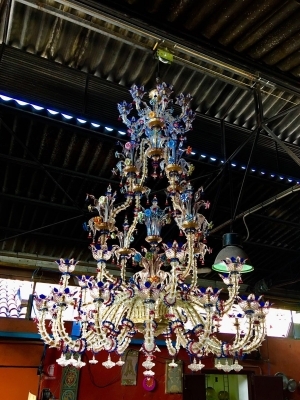 Majestic, multicoloured, handcrafted to measure: our chandeliers bring the atmosphere of the Murano glassmaking tradition into the twenty-first century, and with them the same attention to the client's specific requests. 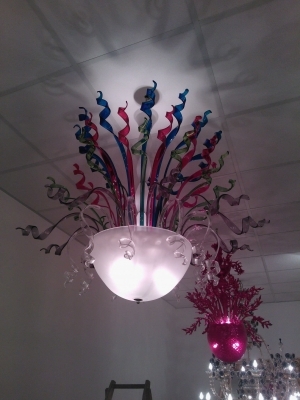 Each of our creations is in fact a one-off design, original and always different from the one before. 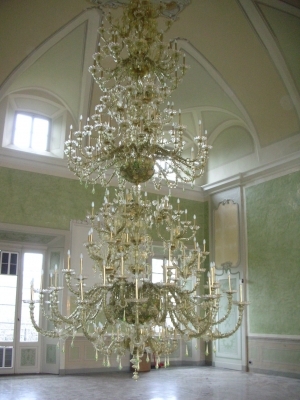 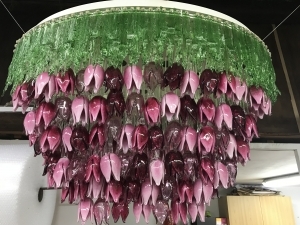 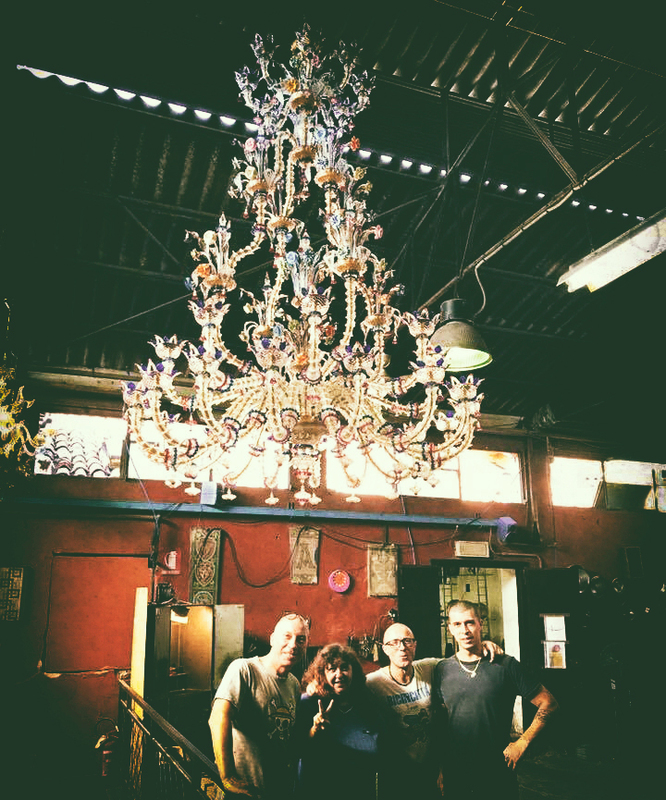 This is why you won't find a product catalogue in our workshop, but rather you'll find the opportunity to see the chandelier you've always dreamed of take shape before your very eyes. 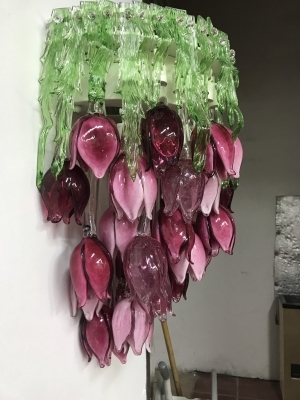 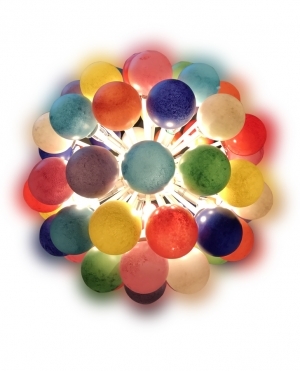 Chandeliers of all sizes, with lights ranging from a few dozen to hundreds, are produced every day to order for our clients. 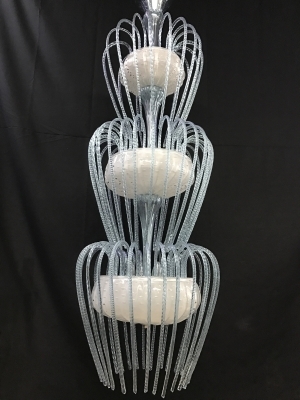 Our work begins by identifying their needs and expectations, and continues with a design conceived to fully meet their approval. 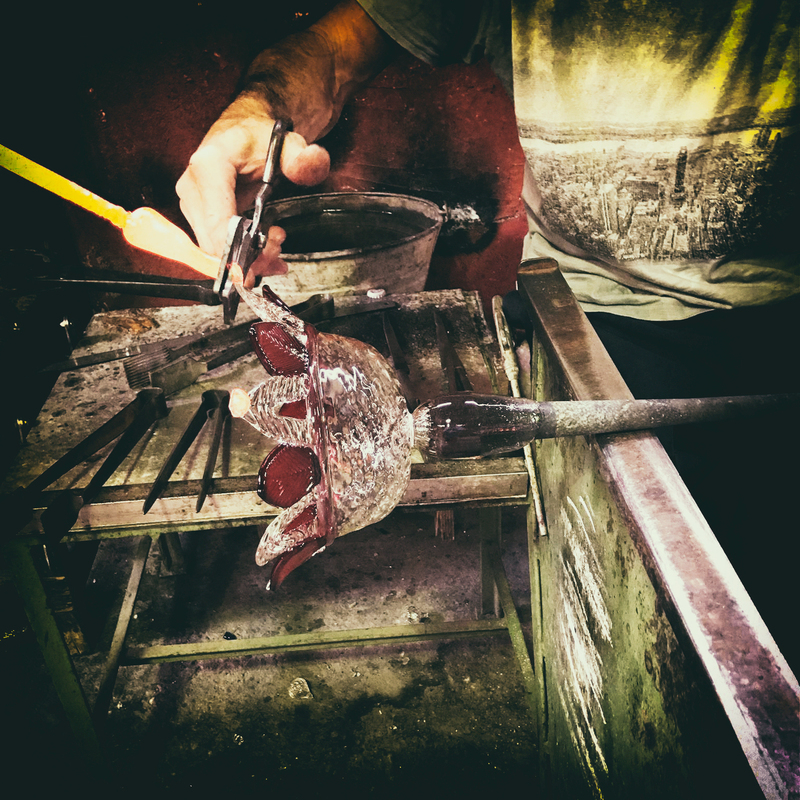 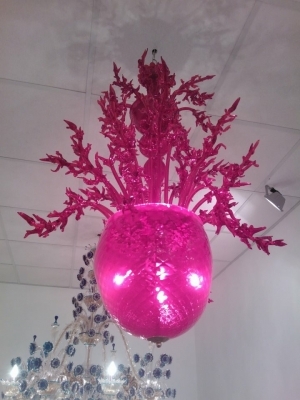 The rest is in the expert hands of our master glassmakers who shed light on the details, colours and shapes which go into creating genuine works of art: unique pieces which use glass to bring into the world an ancient and utterly Venetian art.